In the Elvis Presley 1957 classic movie “Jailhouse Rock“, Elvis‘ character Vincent Everett gets thrown in jail for ten years for accidentally killing a man in a bar room brawl. When he gets to jail he is assigned his prison uniform and the inmate number on his jacket is 6239. 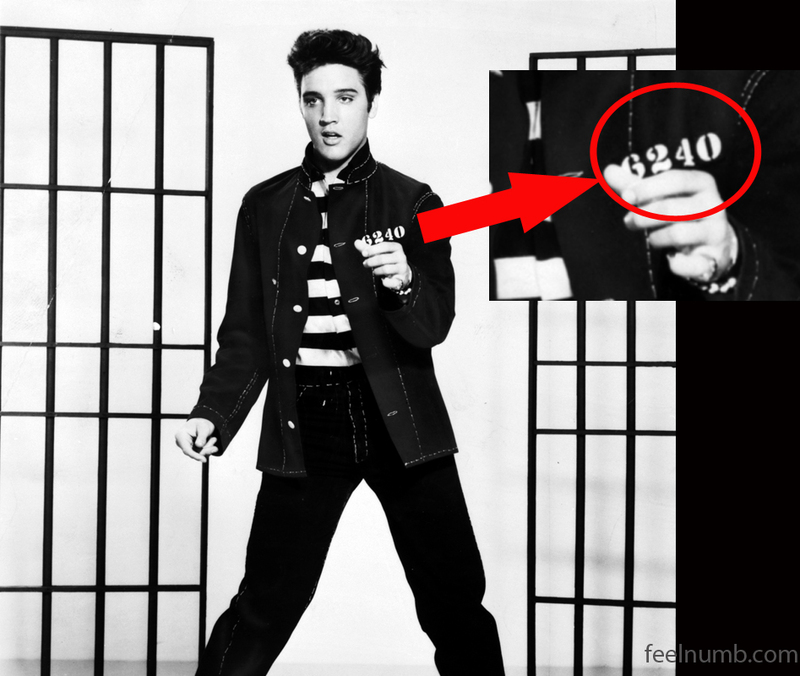 Later in the movie when Elvis (Vince) is out of jail and performs the famous “Jailhouse Rock” scene for a television show his inmate number changed to 6240. 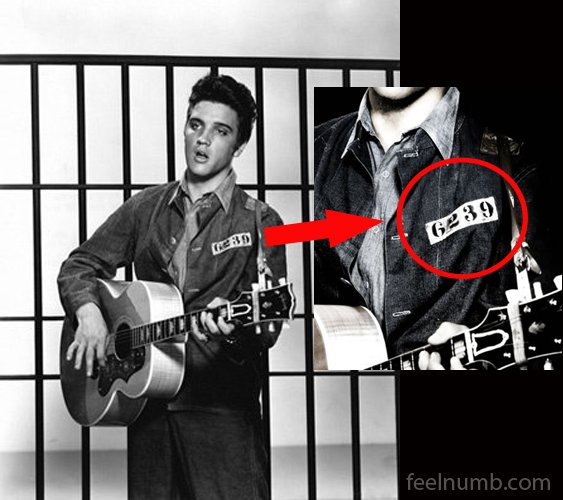 I am not sure if the number change was intentional, a mistake or if these numbers held any significance to Elvis. 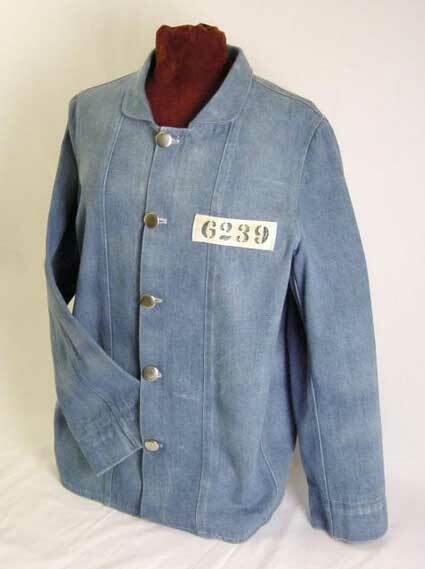 As for the jacket, Elvis’ 6239 “Jailbird” jacket is on display at the Hard Rock Cafe in Memphis, Tennessee. Thanks to M Rossell for help with this story.